We understand that purchasing a product online can be a little uncomfortable for some, however you can buy from us with confidence knowing that you will be looked after by an Australian based business under the laws governing Australian consumers. Website & Internet Development (WebDev) is a proudly 100% Australian owned and operated business which is based in Sydney, NSW Australia. We pride ourselves on this fact and strive to bring more profit to other Australian owned businesses through our various merchant support, development and hosting services. Being Australian owned and operated comes with a certain pride and sense of responsibility, as we feel that we have an obligation to ensure our products and services meet the best possible Australian and world standards. We also believe in offering our clients an experience which demonstrates what we believe Australian culture is based on: honesty, integrity, standing by your word, mateship, fairness, value for money and above all high quality products and services. We also take the Australian approach to building steady long term business relationships which are mutually beneficial to both parties and pride ourselves with providing and continually improving products and services we offer as time goes on. 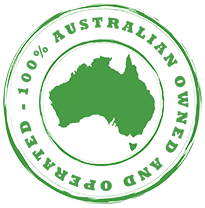 Support Australian owned businesses such as ours by always purchasing through Australian owned and operated or made businesses. It will ensure a positive future for the younger generations and will also build wealth within and around our beautiful country.